Your dream kitsuke items (or at least items you really really want but can't get for whatever reason). So many things I would love to get! 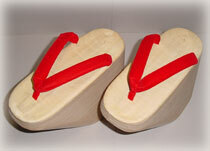 How about a pair of okobo, those lovely wooden geta that maiko wears. Why? Because I am short and they are look so cute. Not to mention they make a lovely noise as you walk. What I can decide is whether I like the plain or the black lacquer ones. 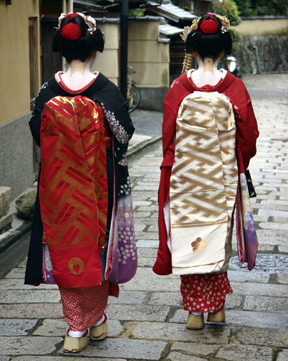 Another piece of maiko kitsuke that I would like is a darari obi. The obi is 6 metres of beautiful fabric and just to wear one would be a dream let alone own one. They are just too expensive for me. 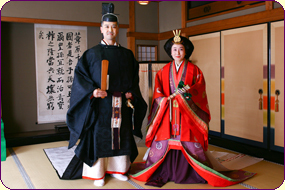 Finally, there is of course the heian style kimono. Far too many layers to put on by yourself, it restricts your movement and it probably weights a lot. It is totally impractical in every way and therefore I love it. If I own this, I would be over the moon and feel like a princess.